Gr eetings to you all from the Isles of Deliberation as the festive season approaches. I hope this finds everyone in fine fettle and ready to tackle the agonies of having to enjoy oneself by partaking of copious quantities of liquid refreshment and filling ones stomach with all sorts of fattening nourishment. 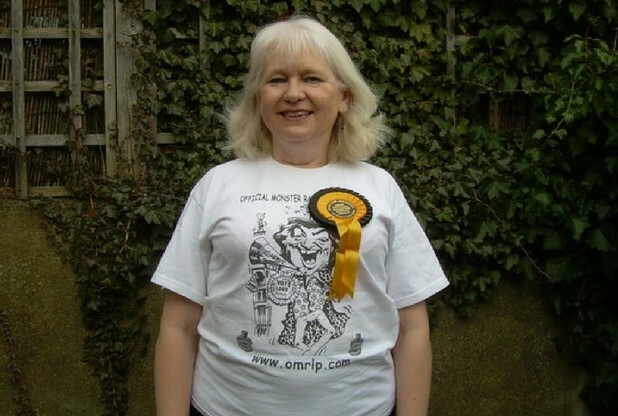 I know – we’ve all got to play our part!!! Unfortunately, this past conference fell on the dates that I was away leading an expedition across the “Levka Ori” – The White Mountains that run from North to South across the island of Crete. I do this in honour of all the brave servicemen who had to escape from the German forces during 1941. My father was one of them and out of his unit of 417 men only 14 escaped from Crete alive. Everyone I have taken across always says how they now appreciate the terrible hardships that those men had to endure. There are no trees, bushes, rivers or streams up there and you have to know how to find water and to survive such a harsh environment. This year the temperatures were above 40 degrees !!! The expeditions always end with a visit to the Allied War Cemetery at Souda Bay where some of my dad’s men rest in peace. 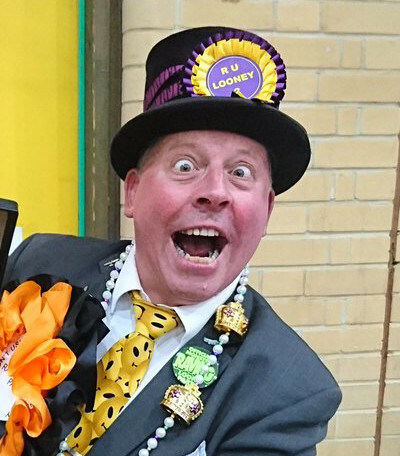 As an aside – The Official Monster Raving loony Party flag has flown from the highest peak there – over 8,000 feet. Bloody good it looked too. Three weeks after getting home I was struck with a virus which just about saw me off – put me in a bed for 5 weeks – and unfortunately the quacks can still not diagnose what is the matter with me. 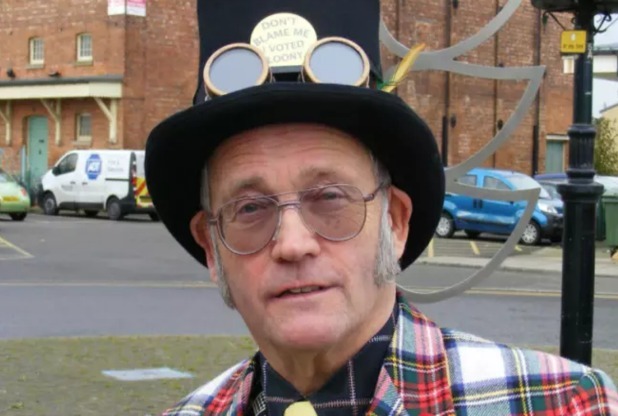 Personally, I think it is just me becoming a geriatric loony – but the determination is as strong as it ever was so I am looking very forward to being with you in Belper next year. 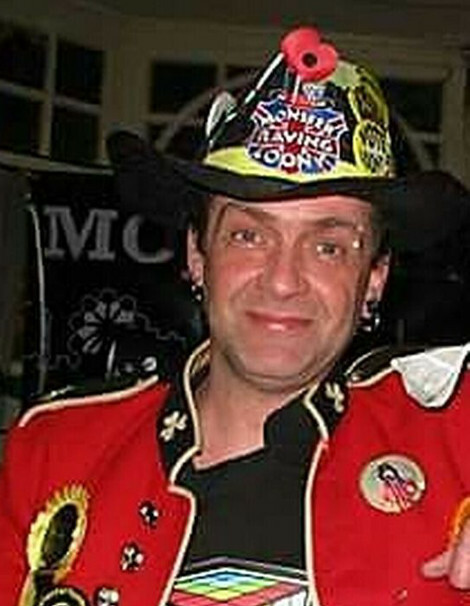 I may have to borrow Lord Sutch’s spare coffin but -I SHALL BE BACK!! 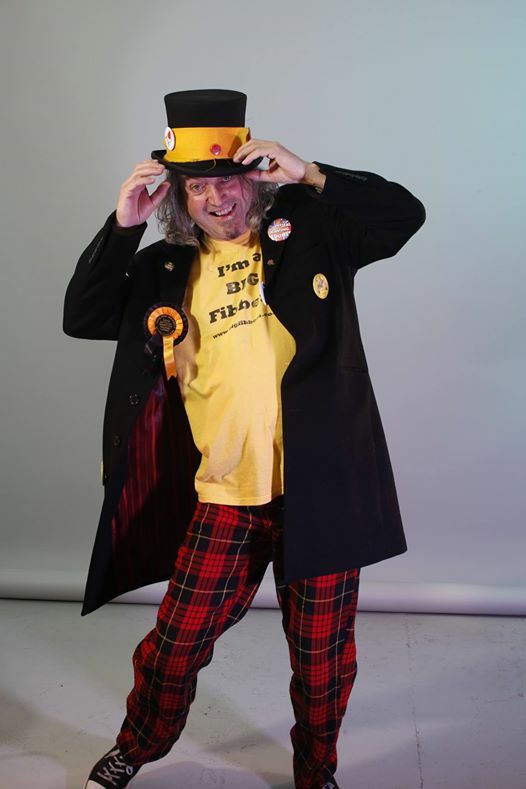 I am sure you will all join me in wishing our Leader the best of health himself now that he is all wired up with the latest machinery – Howl on Laud !! 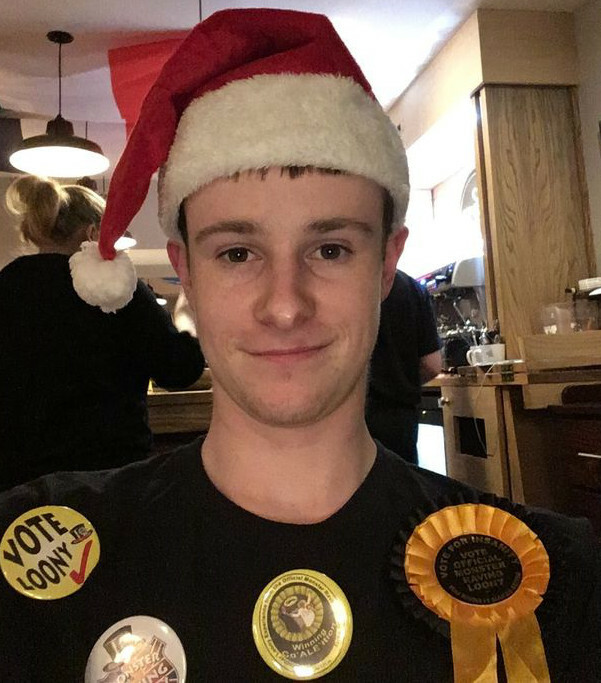 Many congratulations to all those members who stood during the elections in all parts of the Realm during 2016 – you certainly did the PARTY PROUD. Plus returned deposits – whatever next? My thanks also to The Stalwart Manchester Branch who sent me a Christmas Card -it’s on my desk now. 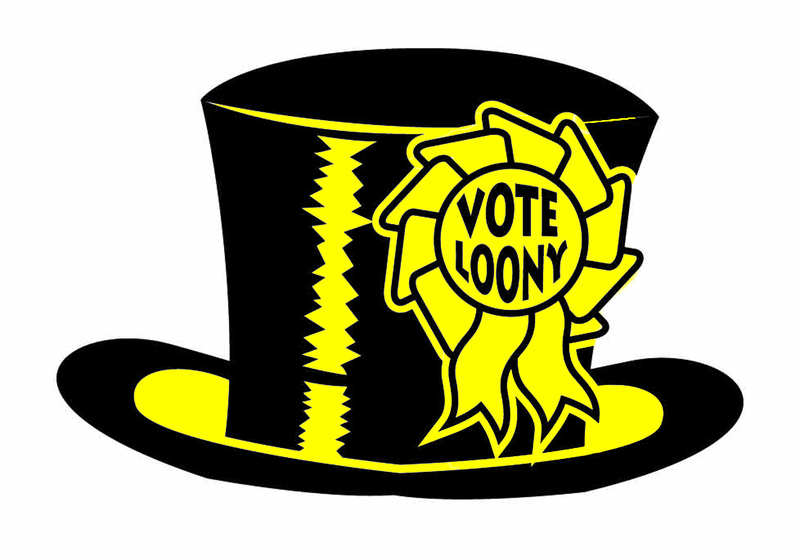 So, may I wish you all a great loony Christmas and an even loonier New Year. Have a cracking time and we shall meet next september. 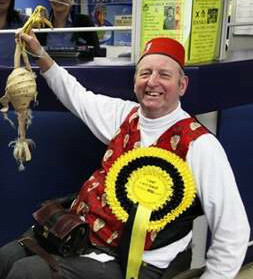 The Jersey Flyer – Chairman. Did you know that the original bandit county of Nottinghamshire now has a branch? And not just the type of branch you find in Sherwood Forest. Relatively new members Frankie Vacuum (the Helmeted Bard) and his trusty sidekick Colonel Col Soup have sent out a call to arms (and legs) for all Loony members to get in touch. We already have the stamp of approval of our glorious Leader the Howling Laud himself and the backing of infamous legend Mr Badaxe! Be part of the latest band of merry men and get involved!! Emissions Surcharge (also known as the ‘T-Charge’). I think the Major of London is wonderful. He has brought in a new “T Charge” that will for £10.00 remove all toxicity from my car, whilst driving in London. Unfortunately once I go outside the London “T Charge” area my car will once again spew out toxic fumes..
and there’s more… If you have a car that’s toxic and your rich, on business or use a firm’s car , this expense can be claimed on your tax as a business expense. So in one stroke The major of London has deterred all those scumbag lowlife poor people who pay their own expenses and saved up to buy a (Government) recommended diesel or cheaper car, from entering the exclusive clean air of Central London. This will no doubt be rolled out across the country when other authorities realise they can add to their depleted coffers using this scam. On a seerius point…. I think everyone applauds genuine efforts to clean up our air, but please don’t use dodgy air or too many vehicles to justify what is blatantly another tax on Vehicle Drivers. The 2017 Conference has just come to a close in Blackpool. This year it was held at Molloys in the town rather than Uncle Tom,s. And a great time was had by all..The venue, slightly smaller than last year, was better suited to what we do. Although we had more people turn up than usual. Big thanks to all. The Bands were once again brilliant, with surprise guest Joe Jammer doing an impromptu appearance. (Many Thanks Joe). The Boogie Woogie band on Fri playing a brilliant set, with Joe Jammer, Alan Hope and Chinners all doing some appearances.. A Big thankyou to all…..
Sat–the Bus Tour around Blackpool was well attended and the people of Blackpool reacted favourably, followed by our annual Cabinet Reshuffle…. Alan gave his usual stirring speech with appropriate praise for our election successes in 2017 (and there were many). Loads of people who don’t normally come to the Conference where there and Baron who was running the merchandise stall, has signed up many new members..(Big thanks to Baron for all his hard work. Altogether a great success, and we look forward to next years conference….several places have already been mentioned. What a great showing from our loony party candidates. A big thankyou for standing, and a big congratulations for the results . Almost without exception we have increased our vote in all areas, and the amount of votes are staggering. Below in order of most Votes is our 2017 table. Before the count has even begun ! You could join the party ! – and then maybe stand in the next election ! Hope to see u all there ! Cheers – Knigel Knapp, Knight of the unKnown. 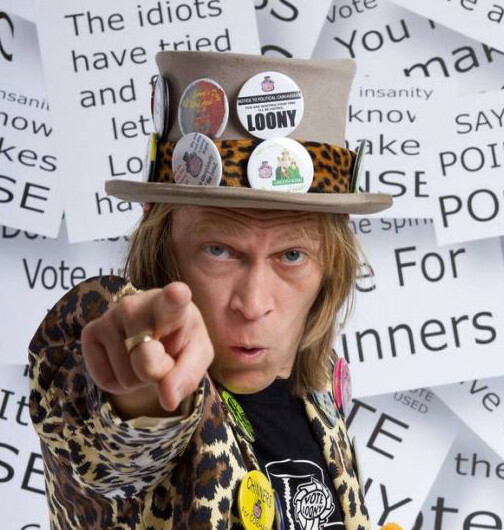 VOTE FOR THE MONSTER RAVING LOONY PARTY – The only sane thing to do in a world gone mad ! As the party of music we draw your attention to Infinite Ear TV…Founded in June 2017, Infinite Ear TV is an independent video-based music, live performance and documentary channel bringing you the best content through high quality video and audio. Showcasing the most exciting new talent in music with unprecedented insight and access into live music, performance and music production. Artists and performers tell their stories in the way we both think they should be told, through. Their new channel is live! 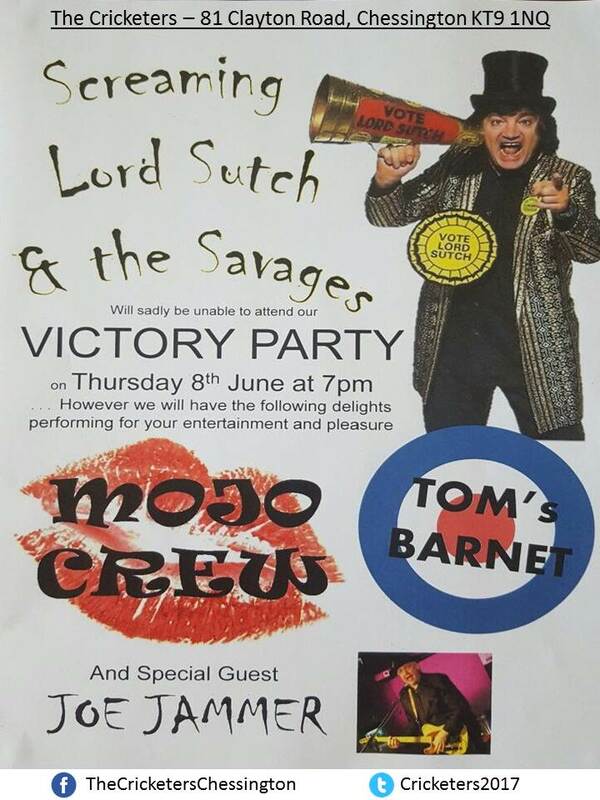 To celebrate the start of this new chapter and to kickstart the channel in a good way, they have are released a documentary , focusing on the totally unique The Official Monster Raving Loony Party and the legendary character of politics and Rock’n’Roll Screaming Lord Sutch. With a brand new website with lots of releases and more about this new channel below. We are to issue free beanie hats to all so when in government we can ‘pull the wool over everyone’s eyes’. To provide a Strong & Stable Government we will relocate Parliament to the Tower of London. France will be required to return Brittany. All Europeans to pay to use the English Channel, and all Creme Anglais to be made in Britain. Germany will have to pay for all treatment of German Measles, and Spain ditto for Spanish Flu. Tax payers to receive Nectar Points from HMRC. 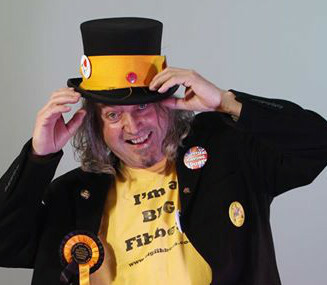 The Loony Party will nationalise all other political parties . 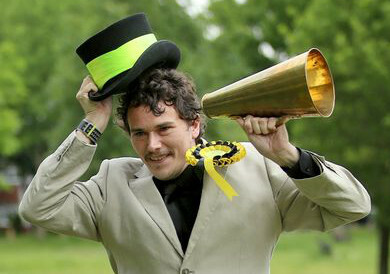 . . and when they don’t keep their manifesto promises they will be merged into Rainbow George’s ‘Rainbow Alliance’. We will nationalise crime to make sure it doesn’t pay. Atheism will be given charity status being a non-prophet organization. In the interests of health and safety all other theism’s will loose charity status and be regulated by their local authority. All Schools would have a jumble sale, fête or other fundraising event at least twice a month to help raise funds for those little extras . . . such as desks, books, paper, pens etc. Voters will get a 30 day cooling off period, if you change your mind, didn’t like the result, or didn’t know what you were voting for, you can get your vote back. Pensions or how to get the grey vote . . . The Labour Party’s leadership are hoping to get one or two pensioners to vote for them so they have brought out a new policy guaranteeing the Triple lock on pensions until 2025 . . . 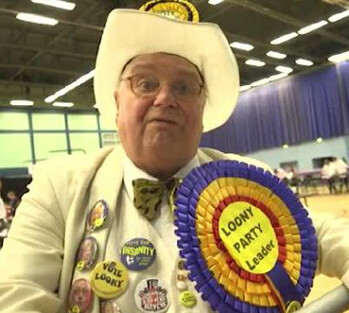 The Loony party of course will go far better and will buy several very large padlocks and some very heavy chains. We shall replace the Trident defence system with a tuning fork. We will change the English symbol of three lions to three badgers. How often do you see lions running round the countryside? We will only paint yellow lines where you CAN park. Potholes deeper than three inches will be marked with a yellow plastic duck. We will rename the current ‘Oyster’ travel cards, to ‘Sardine’ to truly reflect the experience when traveling on public transport. British Airways will be given an abacus and some post-it notepaper to replace its computer systems.